Dr.Sathya's Dental Care & Implant Centre kids’ dentistry services are comprehensive right from fluoride treatment, milk teeth fillings, habit breaking appliances to advanced diagnostics and treatment. Our collective experience in both adult and pediatric dentistry is extensive and we can advice you on the best and safest course of action for any dental problem your child may have. This is a serious misconception about the role primary teeth plays in your child’s future dental health. Scientific evidence has shown that children with decayed milk teeth would most likely experience decay in their permanent teeth as well. Primary teeth that are lost to decay or other dental problems before they naturally fall off can cause irregular development of permanent teeth. It is important that you care for your child’s primary teeth right from the eruption of their first teeth itself. 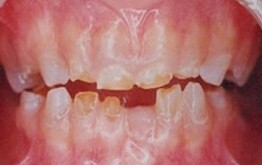 Milk teeth play an important role in the normal and healthy growth of your child. Primary teeth establish spaces in the jaw needed by adult teeth later on. Primary teeth removed earlier than natural can lead to loss of space for adult teeth which, consequently, may create serious dental problems during adulthood. Last but not least: Proper milk teeth will help your child feel good about himself and encourage a positive self image. Primary and young permanent molar teeth are very susceptible to development of decay, particularly on their chewing surfaces. 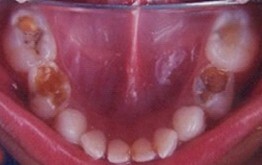 Young permanent molar teeth, soon after their eruption, are still immature and take several months to mature completely. This time period is very critical and at this time period we should protect the tooth from decay. Fluoride, even though it prevents decay by strengthening the enamel, cannot prevent decay on the chewing surface of the molar teeth by the same mechanism. Hence a specially available cement called 'pit and fissure sealants' can be used to cover and seal those risky, deep chewing surfaces of molars. This will prevent entrapment of food particles in them and thereby prevent tooth decay. These 'pit and fissure sealants' don't need a tooth drill before its placement. It is a very simple procedure to perform and has great preventive benefit. Professional fluoride treatment, pit and fissure sealants, good oral hygiene and brushing can reduce decay formation to a great extent. All severely damaged milk teeth are saved by this procedure wherein the decayed living tissue is removed and filled with restorative material. 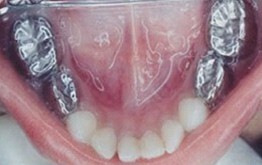 The teeth that are saved by this method is further strengthened by capping with metal crowns. Teeth affected by decay or trauma are restored with tooth coloured composite material. The milk teeth guide the permanent set of teeth to erupt in a proper direction. 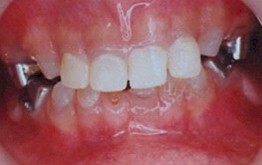 In case of early loss of these teeth by decay or trauma, the space has to be preserved by space maintainers thereby directing the erupting permanent teeth to their normal position. 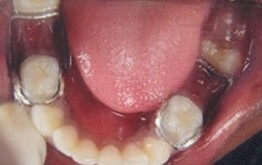 Oral habits such as thumb sucking, mouth breathing, lip biting cause malalignment of teeth. This can be intervened by habit breaking appliances. Regular application of Flouride agents make tooth structure stronger and prevent tooth decay to a great extent. It is usually done once in 6 months.